Words like hectic, tiering, intensive could easily fit in to define the last two weeks of my life. But also words like knowledge, power, diversity, networking, fun accompany the earlier trail of words. Certainly a strange mix of words define the last two weeks that I spent in the vibrent city of Brighton attending the STEPS summer school at the University of Sussex. The two weeks of summer school ended with a conference day where the participants were supposed to present, either individually or in groups. Interestingly, no specific theme or format was defined for the presentations (no boundaries, gotta love that). One could present their own work, something they had learned at the summer school or something they planned to do in the future. A whole world of opportunities awaited us. 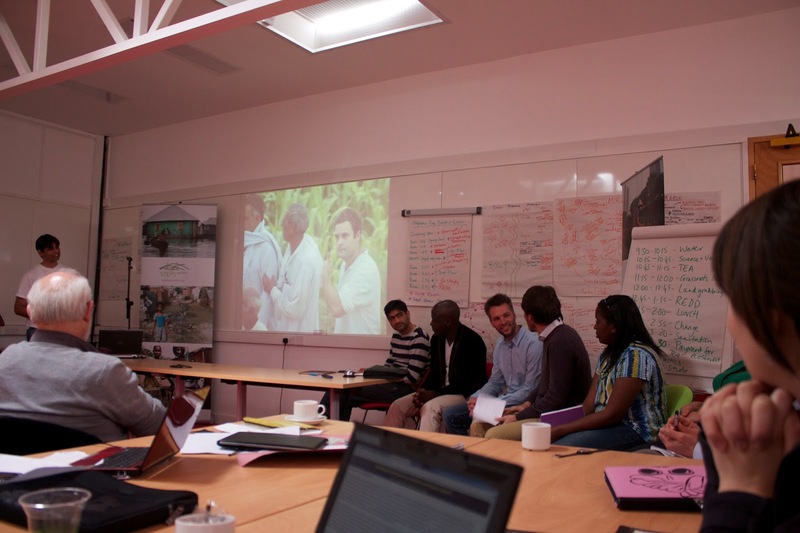 In the first step the participants organised themselves in groups around common areas of interest. These groups would ultimately either present together or organise a thematic session. People got to work, churning out ideas. At this stage at least I couldn't have imagined the kind of brilliance and creativity that would emerge on the conference day. 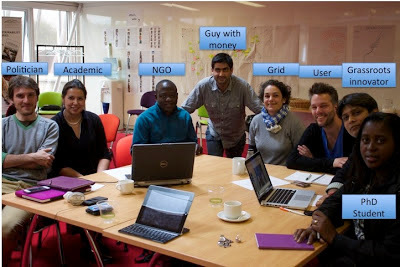 The group that I was part of was going to present on the topic of 'innovation and transition'. We had a couple of meetings, designated roles and finally played some football. That was our preparation for the big stage. 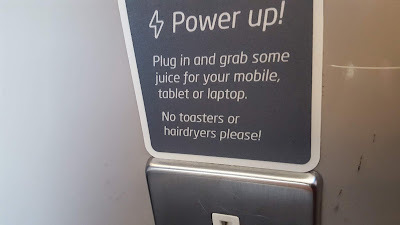 Very innovative indeed. Finally the conference day arrived. For the last two weeks one of the key concepts that we had been discussing was 'diversity' and the conference day epitomised it. The day stared with the water group taking to the stage. They literally had several balls in the air. Yes, there was an expert juggler in the group. 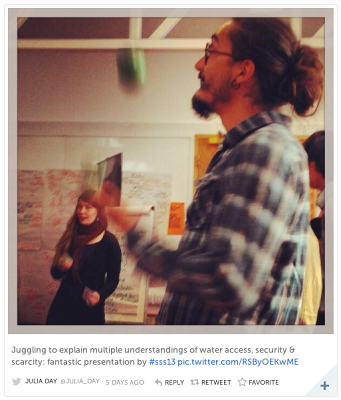 The group used juggling to explain multiple narratives of water scarcity, access and grabbing. This was fantastic and scary. Scary because they had excelled at both entertaining and informing the audience and set the bar very high. Our group was to follow them and there was every chance that after this performance we would be dead meat. Anyway, now we were in the hot seat. Our idea was to do a role play in which various actors (or some actors) associated with innovations and transitions would present their own point of views, their own pathways. 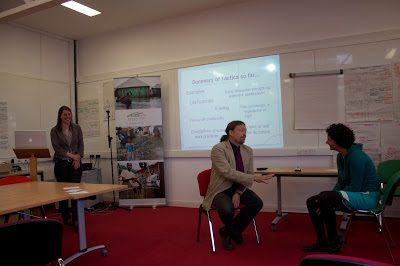 In essence we were trying to present the multiple pathways for the transition of a grassroots innovation. So, we started with the introduction of the usual suspects; the PhD student, the grassroots innovator, the user, the grid, the guy with the money (corporate power), the NGO, the professor (academic) and the politician. The various actors presented their point of views and pathways, discussed and challenged each other. The role play actually turned into a play which I am told was very engaging, entertaining and informative (I am not so sure though). This was followed by some more presentations in groups and in individual capacities, more following the traditional formats. The last few presentations of the day were again off beat. A group fused the formal and informal methods and followed a pannel discussion with a dance bonanza. We were all on our feet learning the new dance moves of power, politics, knowledge etc. And last but not the least, another role play which as a key actor had Prof. Andy Sterling of the SPRU and STEPS. He was pulled into the act by students who wanted to display and discuss interview tactics. And what an act it was. We were all different people, from different universities, from different countries on different continents (same planet though). We had different thought processess and different styles of knowledge dissemination. Still that one day of conference could accomodate these differences. Our hosts, the STEPS centre accepted our diversity with open arms. The new styles of engagement (presentation seems like a cliche word) were actually encouraged. This made me think. Do we as academicians really need to be stuck up only in our slides and research papers? Do these really engage the larger public and make knowledge widely available? Do we now need to think and accept alternate forms of knowledge production and dissemination and also take them seriously? People seem to believe that academicians that invest much time in methods other than the traditional ones like blogs, twitter etc are not really serious about academia. Serious academicians churn out papers and present at big conferences. I agree to the the papers and conferences part. But can't we take a little time out for more informal and widely accessible means like blogs so academic work becomes acceptable, accessible and understandable not only within academia but also outside it? After all knowledge should have no boundaries. So, we must think, who is in-charge of knowledge and who is in-charge of deciding how we disseminate knowledge? I hope in the near future we would break our own boundaries and take our work to the people not only as papers and presentations but also as plays, dances, cartoons, animation etc. PS: A friend at the summer school told me about Bright Club who have really taken a step in the right direction. Hopefully more of us would find these new methods interesting and engage with them.